We’ve come a long way since cubicle farms. 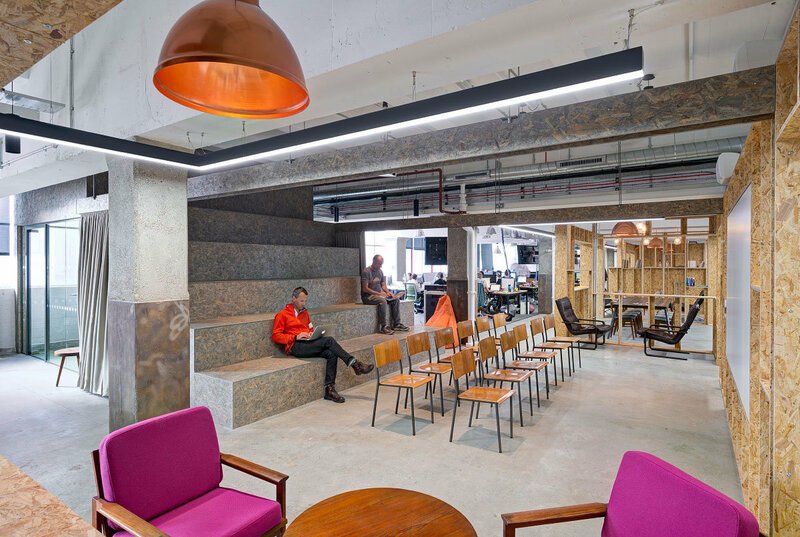 Nine out of ten office fit out companies in London agree: the hip new modern office trend is being able to push your chair out from your desk without causing a domino collapse of interns. How Much Space Does one Person Need Anyway? This is easy: the law says each employee must have 11 cubic metres of space. This is the kind of space that allows everyone to push their chair away from the desk, comfortably walk around the office, have a snack while chatting about last night’s episode of Doctor Who, lean over the designer’s shoulder to critique his taste, and do a couple of jumping jacks in reception. Office length x height (to a max of 3m) x width, then divide it all by the number of employees. If the number comes out as less than 11, then by law you need to upgrade your office. But keep in mind this is the minimum amount of space someone needs to do their job properly. You may not be factoring in the enormous amount of space taken up by furniture or unused work areas. Here’s a hot tip: walk outside and see if there are any faces pressed against the glass. Yup, you’re going to need to rethink this issue. Even after doing the maths, your office is no good if you’ve just about managed to give each employee the minimum of 11 cubic metres. Your business is constantly growing and evolving, a bit like a plant, and we’ve all seen what happens to plants if they’re shoved into a tiny pot. Your office should not only reflect your ambitions to grow, but allow for all your space requirements. For this, you need a solid brief that considers what you need your office to be in order for everyone to work at their best. Your average office fit-out companies in London can help you with this (and trust us, we’re better than average). For instance, where are you going to take your clients to seal the deal? If you don’t answer with “a good sized boardroom”, then you hopefully have a meeting room you can rent, as you can’t win business in line at Wacky Luigi’s Ice Cream Sandwich Shack. Also think about breakout space. Good collaboration never happens when people have to perch on someone’s knee to have a decently long conversation. Think of your office like you’re Spiderman. No wait, we’re going somewhere with this. Fact is, every surface is a floor for Spiderman, and is full of space saving potential. Why write on a giant desk when you can use a whiteboard? Or store things in bulky cupboards when you can pack them in attractive wall shelving or overhead cabinets instead? If you want office plants, there’s no reason they can’t hang from the ceiling. Wipe-clean walls are also great to visually communicate spur-of-the-moment ideas, and double up as standing collaborative areas. Even fancier are writable glass walls and windows, which allow natural light through a space, and make you feel like a badass mathematician in a Hollywood movie. And hey, if you have super high ceilings, then have you thought about a mezzanine? Now that’s next level thinking. Storage is a massively underappreciated factor when a business takes on office space. Every employee seems to be a secret hoarder. If it’s not the paperwork they have stacked around their desk, then it’s the drawer where they put all the paperwork left by the last person in their job that they don’t know what to do with, or the secret sleeping bag hidden in the server room that means they don’t need to pay rent this month. When you space plan, make sure you get a storage audit. And a big skip (but watch the rubbish collection fees). A conversation with office fit-out companies in London will ensure you get good recommendations for smart storage solutions, such as half-height roller racking or bespoke fitted cupboards in those awkward nooks and crannies you don’t have any other use for (make sure to tip the sleeping employees out first). 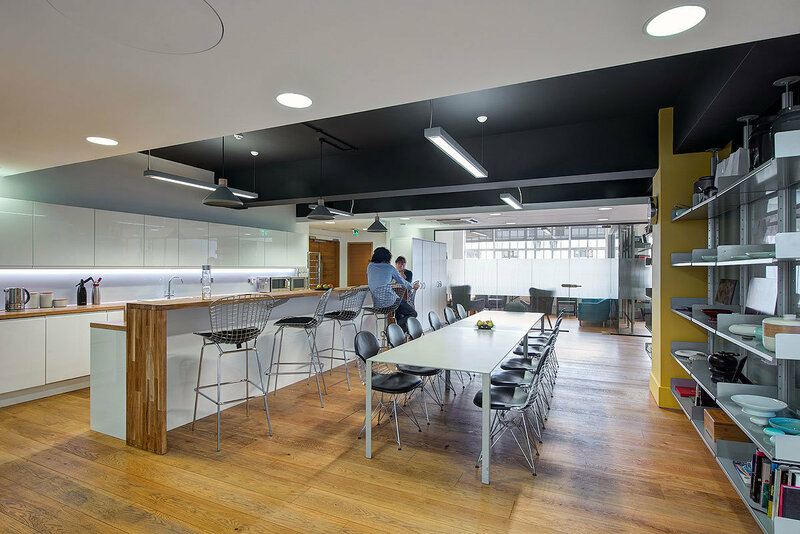 Need more ideas about your cramped workspace from one of the leading office fit out companies in London? Give us a bell, and our friendly designers will soon get you to open up.